A marriage is the joyous joining of two people. Often, experience tells us, it is also the joining of two distinctly different styles. As a creative team, we work with you to interpret your vision and translate it into an event that reflects the uniqueness of your partnership. As a design firm we also know that any good event starts with the basics. Our inventory, however, is anything but basic. Our couture collection includes specialty chairs, tables, furniture, bars and unique pieces guaranteed to express your personalities. We customize a variety of design services to your specific locale, including ceiling and wall treatments and grand floral creations. 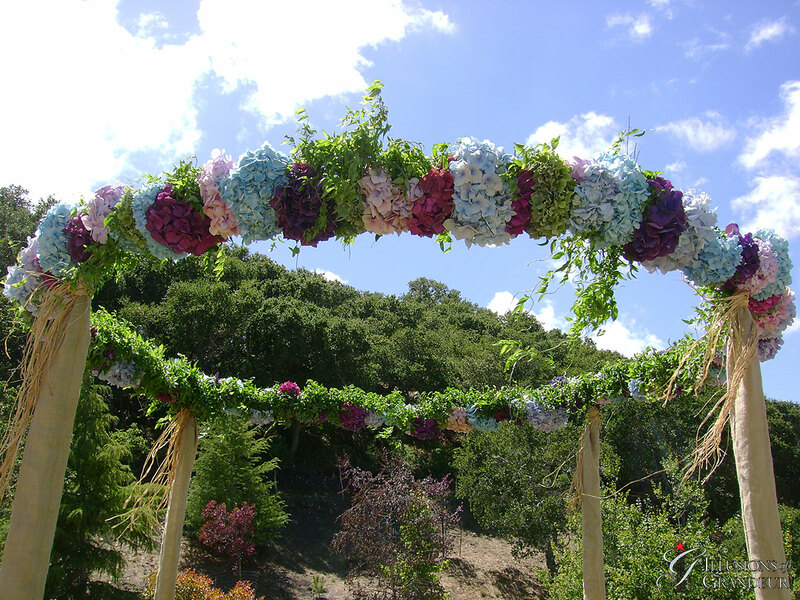 We welcome the opportunity to meet with you and your wedding planner to assist in making your day the spectacular Monterey county event that will create beautiful memories for years to come.